Christmas is on the horizon and if you are starting to write your Christmas lists, here’s an idea for any colouring buffs in the family who love to indulge their creativity. Magnetips are unique Magnetic Colouring Pens-suitable from age 3+ and great for colouring, constructing and fidgeting. MAGNETIPS™ from MAGNETIPS™ on Vimeo. 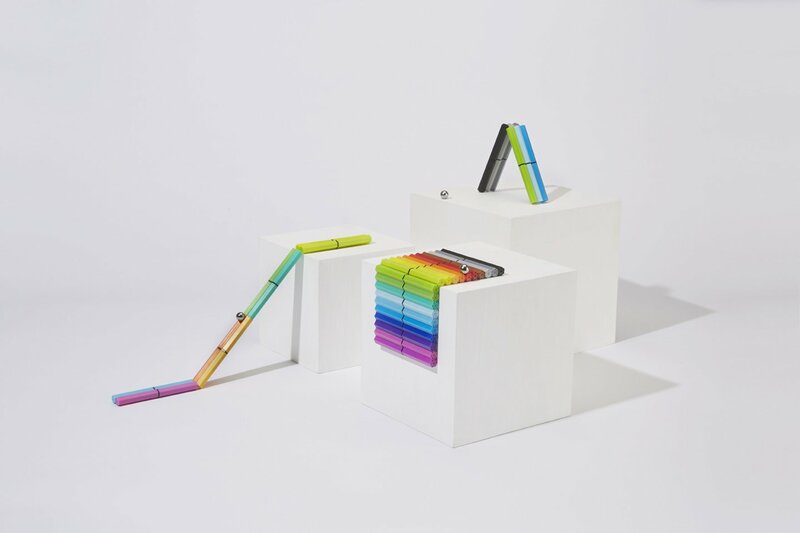 Each one of the Patent-Pending fine liners has 2 powerful Neodymium magnets fixed in their shell, making them attract one another and to most metal objects, allowing nearly unlimited options for how the pens can be stored or presented. Take a look at the video above which has lots of cool ideas – you can even make a stand for your mobile with them! The pens are water based and have a 0.4 fine-line tip – great for intricate colouring. The possibilities are endless with a bit of imagination and I particularly love the ‘fidget’ potential of these pens. Just stick them together, twirl, spin, whatever your fancy. Entry is easy via the rafflecopter widget below. The giveaway is open to UK entrants only and ends at 11:59 pm on Sunday 26th November. Terms and conditions apply which can be found on my giveaways page. "Problem Page Edition 44 2017"
"Review: New Hellofresh Christmas Box"
I like the look of the magnetic pens, they look like so much fun to use. I have never heard of these before and love the fact that they are magnetic! I love that you can stick them on your fridge! 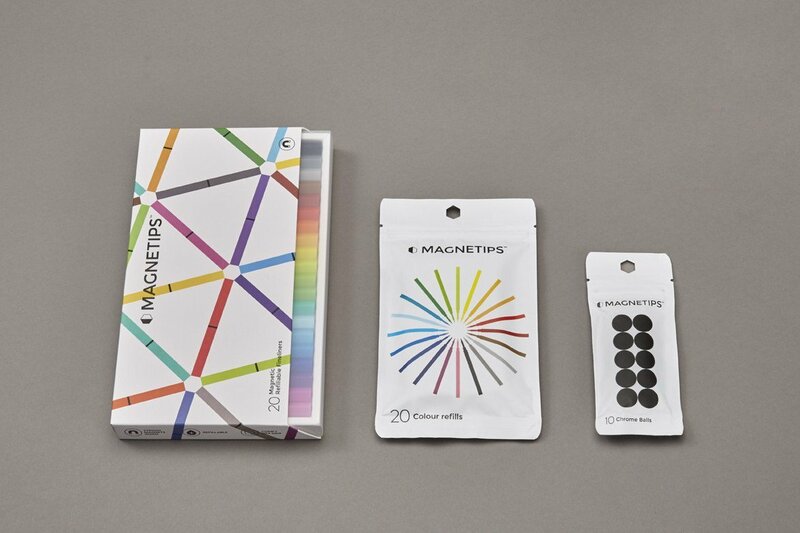 Must admit that I’m not familiar with this product, but I like the fact that Magnetips are great for colouring, constructing and fidgeting..my kids would love them! How versatile they are, it’s super cool that they can be used for fidgeting too! I love the fidget aspect of these, my girls are fidgetters! These are so cleaver and quirky. i love that they are magnetic very cool , the also look very good quality! The fine line tips will be great with my colouring books! I love the way you can stack them and stick them. I like that Magnetips are great for colouring, constructing and fidgeting. They are both a pen and a toy! Awesome!! I love the way you can stick them and stack them. They are so versatile – my Godson would have great fun with them. There really stylish, and the tip is so precise! This is the first time I’ve heard of them but I like that you can do so much with them. You can play with them whilst coming up with new creative ideas! These look fab. I love the fact that they’re magnetic and you can build with them s well as colour, perfect for me who is always fidgeting with things. I’ve never seen them before but I think this is an amazing idea. I like that you can stack them and they look great for colouring! I love the way you can stack them as they look very visually pleasing. These sound so good. Pens that colour very intricate patterns would be a great addition to my crafting ‘toys’. I love any aspect of crafting and anything that adds to my abilities is great,y welcomed. Thanks for the chance. I love that they all stick together – saves me losing them like I usually do! These look so much fun. Great idea! I like the shape and style of them. I love how good they look for fidgeting, too; that must be great for staying focussed on the art they’re being used for. I like the Magnetips as they are so unusual. We would love to try these. Great idea that they stick together for easy storage. I love that you can stack them, it sounds so handy! Love that they’re magnetic – I’d put a metal strip up on the wall above my desk, and then they’ll always be to hand. They look great and you can stick them on your fridge, Ace!! The range of colours and the fine nib. My 95-years-old father-in-law very much enjoys colouring in adult colouring books and these would be ideal for him. I have never heard of these before, but I do love that you can do very fine colouring in and not lose the tops! The look nice to write and colour with but it’s the fidgeting aspect that most appeals, awesome! Love the fine lines and range of colours- I have a couple of lovely colouring books I’ve hardly started, which would be lovely to fill in with these! I’d also always have one stuck to the fridge for quickly jotting on the shopping list! I have not heard of them before but they look awesome. These look like so much fun to use. I’d join loads together and just swirl them around! The precise tips for colouring and the fact they all stick together is very clever. Great that you can build with them whilst you fidget! Great looking product with vibrant colours. the magnetic pens look so much fun to use, love the colours too! I love the range of colours of Magnetips pens, and I really like that I can never lose them as they stay put and don’t roll away! I love the way they stick together and I think my son would have great fun with them. 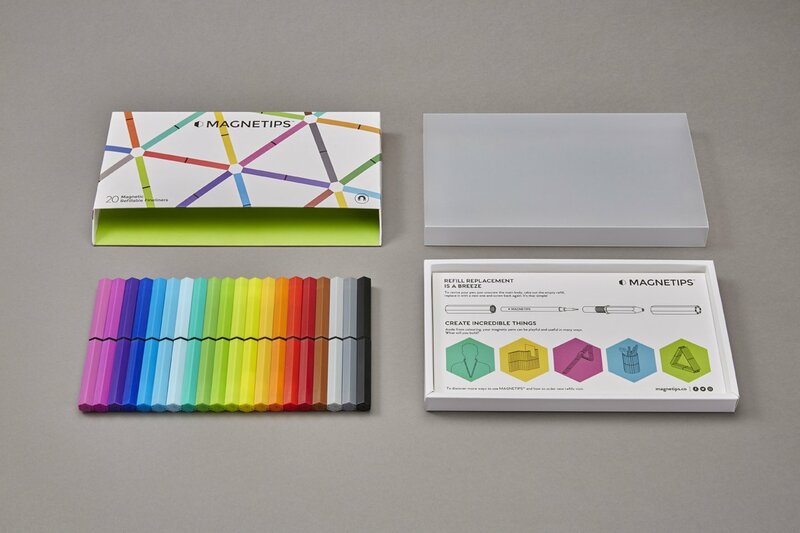 I like that they are magnetic and I would want to create goemetric shapes to display on my desk! I like that they look like decent pens- not just crap pens with a cool gimmick. I like they stick together! the construction possibilities are very exciting!! I like that they are nearly impossible to lose! I love the fact that they’re magnetic, we’re always searching for pens, and it would be great to be able to stick them on the fridge! I really like how they are magnetic i’ve never seen this with colouring stuff before. I like that they are easy to refill. The colours, the fact that they are versatile and they stick together so won’t get lost!! That they are easy to store away! These look great – I love that they can be a display in their own right! I like how they could help my niece understand shapes. I like the idea of the magnetic pens since we are always losing colours in our house. I have never seen these before. But love the fact I can stick them to the fridge. My family are always stealing my pens. I love that they are a pen and toy in one! I love how you can build and write with them! Love the fact that they are refillable and have precise tips to colour detailed work. I like that you can both write and play with them. How fab these are. I have never seen multi-use pens before. Love the fact that you can build them between writing with them. The fine tip – perfect for detail! I love the construction possibilities they have – my son would love building with them! I love the way you can stack them. they’re magnetic – we have a huge fridge so hopefully would never have the issue of finding a pen again! These look really good and I have not seen them in the shops! I love the fact that they stick together and are so colourful! I love that you can play with these pens as well as write with them. They look like so much fun I’m not sure how much colouring would get done! These would keep me amused for hours let alone my children 🙂 I also love that they are so fine, I’m finding it hard to find good pens for mine and my son’s colouring books, these look like they would do the job. I like the way you can be creative with the pens themselves as well as drawing with them. Never seen these before, perfect for my fidgety digits. Love the fact that they stick together and are so fine. I love the fine tips and the variety of colours. Would love to try it, only heard of it! How clever they are to use! My daughter constantly fidgets. It’s great that they are magnetic so that they can be as much of a toy as a writing impliment plus as they can attach to the fridge there’s less of a chance of them getting lost imbetween uses. Love the colours! And the magnets are perfect for fidgety fingers! I love the way these pens all stick together and don’t go rolling all over your desk. Makes them so much easier to find and work with. I think they look great, and won’t get lost so easily maybe? The fidgetability … My daughter has ASD and this will help her out during colouring and drawing !! Never heard of this but love the idea, brill prize! I like that they’re fine tipped so ideal for adult colouring books. Wow, these look fun and I spend a lot of time “fidgeting” with my pens as well, so they are multi-functional. Great idea. I love that they stick together so you’re not forever losing them. I love that you can stick them on the fridge! I love these! It’s so fun that they can be shaped and stuck on the fridge. I like the vivid range of colours. As someone who concentrates best when I am fidgeting with something, I like that these can be built with in endless possibilities. I wouldn’t lose any of these as I could stick them all together! I have never heard of these before, and love the fact that they are magnetic! 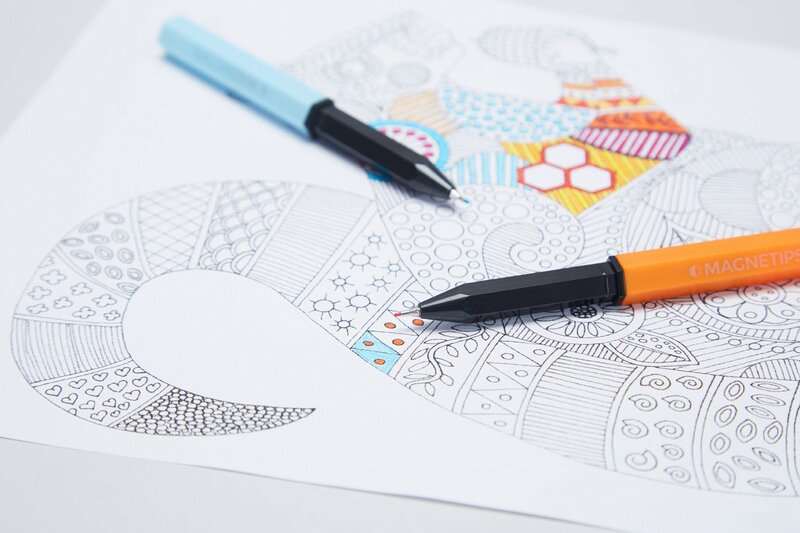 Great for intricate colouring : – Fantastic, as I do enjoy colouring in, arts and crafts, etc. I have never heard of these before but love that they are magnetic and are great colours.